We make your tagging experience hassle-free and faster. Tag your unsafe equipment quickly with our convenient tag dispenser. • Portable Take-A-Tag Dispenser can be carried on-the-go and offers faster dispensing with zero mess. 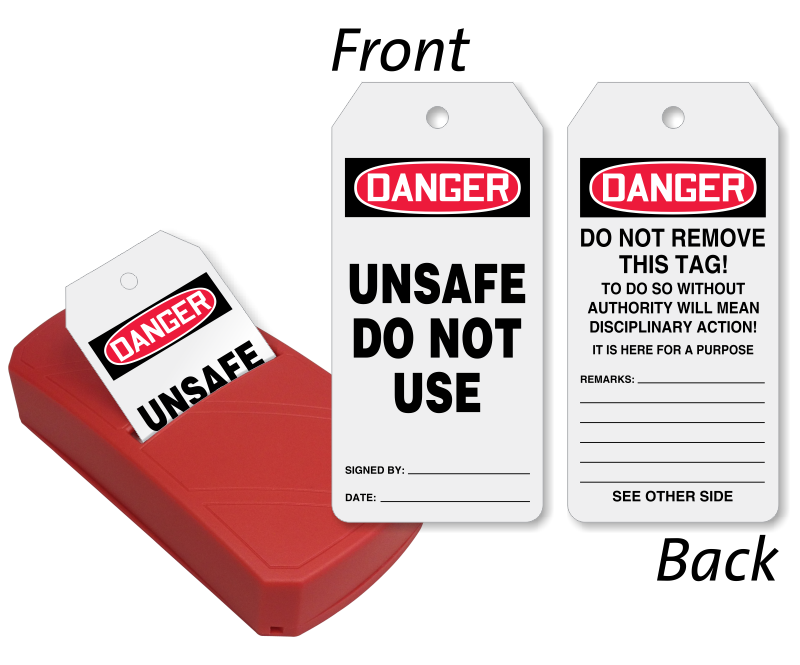 • 100 tags are fan-folded and attached to each other end-to-end through perforation. • Pull a tag from the dispenser, tearing the perforation and the next one will come out for the next use. • Notched corners help you hang the tags even in tight spots.